At Babyology we see many gorgeous lunch carriers for babies and preschoolers but not all are suitable for older kids (though I never give up asking). I’m loving this range of bottle bags, lunch bags and now bean bags from Oopsie. These prints are fantastic for both the young and (slightly) older kids in your family! Australian company Oopsie have designed a fantastic range of carriers that are both completely cool in both scooter print or bird print fabric. The Bottle Bag keeps bottles warm or cold and will even fit a large water bottle. Both the Lunch Bag and Multi Bag are great for transporting snacks and drinks, with a handy adjustable strap for slinging over a shoulder or across a pram handle. 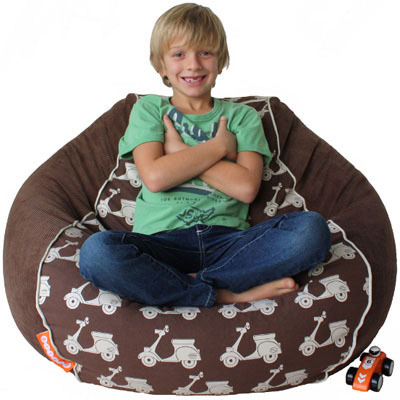 Never to go out of style is a new Bean Bag in super soft corduroy featuring a panel of trademark scooters or birds print fabric. In two easy decor fitting colours, these bean bags are triple stitched internally with a child proof zip to eliminate any nasty surprises from busy children! Prices start at $19.95 for the Bottle Bag at Tribe. Delivery to your door is available.